The quotation "Divinity did not die" has caused some to think that Jesus did not really die, that some part of Him continued with conscious awareness even though there was a physical death. How can we understand this "divinity did not die"? It does present some problems and has even raised charges of blasphemy against the author. For example: this page charges Ellen White with being a false prophet. He is affirming that our Redeemer is both human and divine. 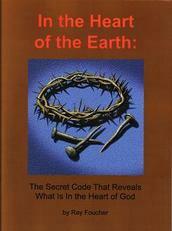 He further says that Jesus did in fact die; He did not leave the human body to escape death. Jesus, the Son of God, did in fact die. So how can this be resolved? I will attempt to explain it here but please recognize that I am doing this in large part as a personal exercise - an attempt to understand it for myself. I do not claim to have complete understanding of the subject. Here is the line of evidence that helps me. Some translations have wording something like: "not a thing to be grasped" in the sense of not holding on to something. He was willing to let go. My understanding of what He let go of; what He did not continue to grasp is that it was what could be called the physical attributes of divinity. The Son of God, with all the physical and character attributes of divinity, was willing to lay aside the physical attributes - the omnipresence, omnipotence and omniscience - and take on human form so that He could live (tabernacle) with us and so that He could die - because divinity (in possession of those attributes) cannot die. He had to be made into a lower form than He previously held. However, Jesus was not made lower than angels in any aspect of His character; it was physically that He was made lower. He still was the same being; He still was the Son of God even worthy of the worship of angels. He did not hold on to; He was willing to let go of the physical attributes of divinity. In His nature, while on earth, His physical nature was 100% human. A person cannot be present everywhere (omnipresent) and, at the same time be limited to a body in a single location. A person cannot be all-powerful (omnipotent) and, at the same time, be limited in power. A person cannot be all-knowing (omniscient) and, at the same time, be limited in knowledge. It's like the story that is sometimes told of a young prince who wanted to see what the citizens of the kingdom really lived like. He took off His princely crown, royal robes, left his personal attendants and put on the clothes of a commoner and mixed among them. Yet he was still the same being, still a prince of the kingdom. He could return to the kingdom at any time. The temptation in the wilderness shows that He could have cast off that limitation. The temptation to turn stones into bread would not have been a temptation if He could not have done it. And this happened "by inheritance" because of who He was - the Son of God. This verse is not suggesting that we might become omnipotent, omnipresent or omniscient. We will not take on the physical characteristics of God but we can partake of the same character traits. God is just, righteous, holy etc but we are not denied the privilege of becoming god-like in those ways just because they are characteristics of divinity. But having those character traits does not make us divine, just partakers of divine characteristics. Neither does Jesus who is divine by virtue of being the Son of God, become merely human because He has a physical nature like ours. So, "divinity did not die" is not talking about the physical being who did die but about the physical characteristics which did not "die" as He was not in possession of them at the time of His death. When He died, He was as dead as anyone else who has ever died. The Father had no communication with Him while Jesus was dead. Jesus did not go anywhere while dead. He was dead; He paid the penalty for sin which is the second death. Again, please note that this is just my understanding of this statement "divinity did not die." I am open to comment or further thoughts as I contemplate God's amazing work in salvation. The resurrection explained like you've never heard. Receive free newsletters reporting and analysing world events related to prophecy. The Greek has multiple words for forgiveness? God forgives (charizomai) whether we ask or not. Receiving forgiveness (apheimi) is by our choice. Pentecost - When is it? 2012 End of the World? A US Attack on Iran? Is a US-Iran War Coming Soon? 3. Where Did Jesus Go When He Died? Have your say about what you just read! Please leave a comment below.